It’s flu shot time! 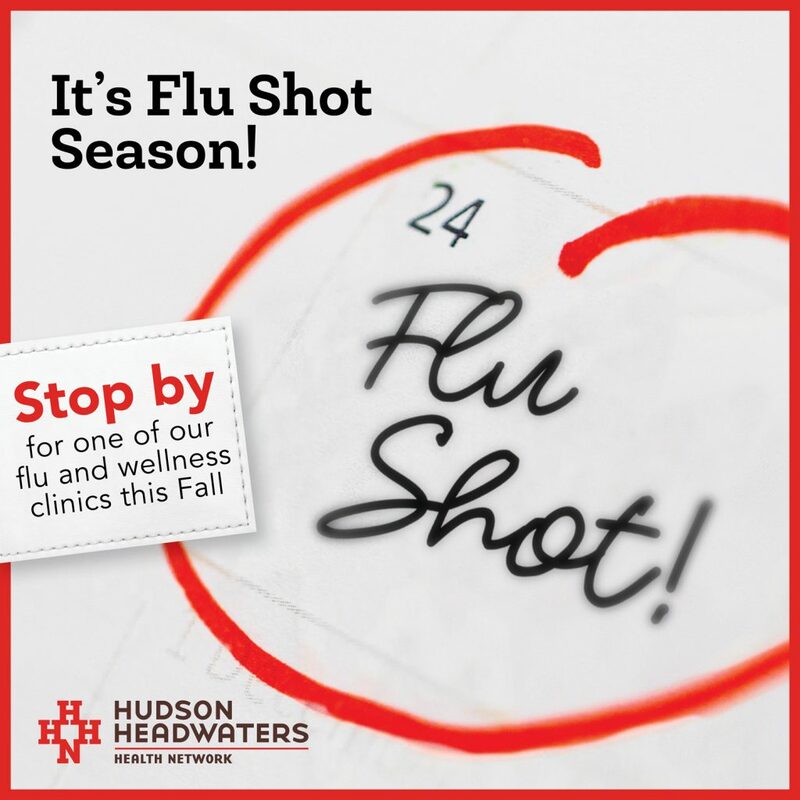 Ask your nurse for the flu shot at your next appointment or stop by one of our flu and wellness clinics (for Hudson Headwaters patients). No appointment is necessary, please make sure to bring your insurance information. Click here to see the full list of clinics so you can pick the location, day, and time most convenient for you.